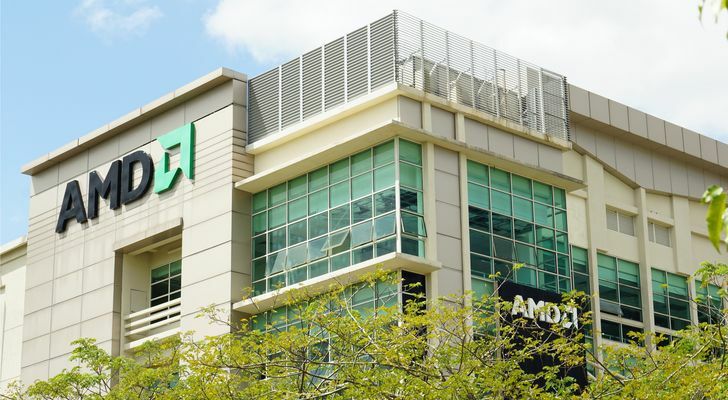 Since hitting nearly $33 in September, the shares of Advanced Micro Devices (NASDAQ:AMD) have come under tremendous pressure. Note that the stock price is now at about $24.50 – or off about 26%. AMD stock plunged about 11%on Friday. But the performance of Advanced Micro Devices stock is not company specific. Keep in mind that the semiconductor segment has been a target of intense selling. Look at the drops in operators like NVIDIA (NASDAQ:NVDA), Micron Technology (NASDAQ:MU) and Intel (NASDAQ:INTC). Now there are many reasons for this. Of course, the overall equities markets have been bearish. There also continues to be tensions with China, which could disrupt the supply chains for chip makers. And yes, the semi stocks have already had a strong run over the years. So it makes sense for investors to take profits. OK then, in light of all this, what about AMD stock? Could there be a bargain here? Or should investors hold off for now? Well, on Wednesday, we should get a better idea. This is when the company reports its third quarter results (which will be after the market closes). On the top line, Wall Street is looking for revenues of $1.7 billion from AMD, compared to $1.76 billion in the same period a year ago. As for the adjusted earnings, they are projected at 12 cents a share, down by one cent a share on a year-over-year basis. AMD stock lately has been able to beat expectations. And for the most part, the sentiment is far from positive right now. The company launched a family of Athlon desktop processors, which include Radian Vega graphics capabilities. These chips allow for such functions as premium content creation and advanced multitasking. AMD announced the RadeonPro V340 graphics card. This is a dual-GPU system that is focused on handling datacenter visualization workloads like CAD. The company launched its most powerful desktop processor, called the AMD Ryzen Threadripper 2990WX (it comes with 32 cores and 64 threads). It has up to 53% better performance compared to the nearest rival. The company announced its AMD Radeon Pro WX 8200 graphics card. It provides for advanced real-time visualization, photorealistic rendering and VR (Virtual Reality). The price tag is also under $1,000. I’ve been bullish on AMD stock for some time. The main reason is the CEO, Lisa Su, who has been standout as she has been laser-focused on innovation. As a result, the company is poised to take a material piece of the datacenter market. Consider that the EPYC server processor has seen strong uptake from marque customers like Cisco (NASDAQ:CSCO) and HP Enterprise (NYSE:HPE). Currently, INTC has about 99% of the market. In other words, there is much room on the upside for AMD. It also helps that INTC has been challenged with delays and manufacturing issues. For example, it’s 10-nanometer chips will not be available until late 2019. As for AMD, it will soon launch its own 7-nanometer chips. Now the recent volatility in the markets is concerning and the situation in China is a major wildcard. But for investors with a long-term bent, AMD does look attractive. After all, the company has shown that it can compete against fierce rivals and also play in strategic markets like VR and AI (Artificial Intelligence).